Toilets are a quite visited place in the house. Same old, traditional and boring toilets are very common. Innovation is the key to make everything super fun and interesting. Investing a little time and money can make a huge difference in that small old place which we all know as the toilet. Here are some unique ways and tips to help you out to change your toilet style and make your toilet awesome. If you are looking to save your space and you are a cleanliness freak wall-hung toilets are the best solutions to your problem. These innovative toilets come with a concealed tank, minimal footprint and installation flexibility. You can save space of up to 12 inches by using a wall-hung toilet. They are really easy to clean beneath the bowl as they have a smooth surface which makes the wiping easy. The flush actuator lets you choose between a 0.8-1.6-gallon flush for light to bulk waste. As a result, you save water without compromising on performance. The handheld shower head is the best way to gain a spa-like experience in your own bathroom. It is not only best for bathing children but also very convenient to give your pets a little fun shower time. Handheld shower heads are very useful for elderly people. It is convenient and time saving to sprinkle water on the right places whenever needed. This also requires less energy to operate. 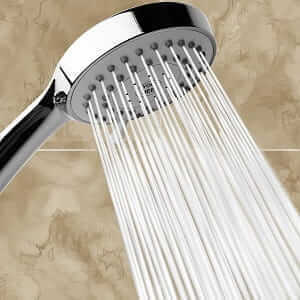 Basically, the purpose of handheld shower heads is to bring ease to your showering experience. It brings ease in the shape of very low maintenance cost and hassles free installation. Finding you a suitable handheld shower head is not a big task now. There are many websites offering best and sleek designs. With the right shower head, you can wash yourself head to toe really quickly and easily. This space-saving tool gives you smooth running water and different showering patterns to make you feel refreshed with a hint of fun. The speakers were used to send messages to people. Then they were used to listen to music on a very large scale. With the passage of time in the modern era, speakers got really popular with Bluetooth. Now, they are used in the doors and walls of bathrooms and even outdoors. Bluetooth shower speaker has a very common speaker with the capacity of Bluetooth and you can operate it very easily. It gives you feel of modern technology right into your bathroom. They are wireless devices having Bluetooth technology and can easily be paired with your hand-phone. This taste of the modern era is a very unique and easy way to have a sense of innovation in your house. It is ideal for a house owner to look for a dehumidifier for bathrooms. Humidity is an open invitation to mold. No one would want to mold growing in their bathrooms. Humidity is very unpleasant and really bad for health. 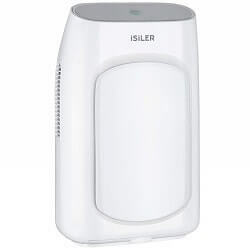 To save your family from such experiences, a shower base bathroom dehumidifier is must to have. The shower base dehumidifier discards water vapors from the air and leaves you with fresh, clean air to breath. It is a great modern invention, ideal for freshness and staying healthy. Imagine yourself having a steam bath every day in your own bathroom. When you come home tired and exhausted from work and all you want is to relax. You get a post hectic day steam bath. It will make you ten times happier and relaxed. The steam shower is great in winters. People shiver from cold and for days they just don’t want to get into the shower. A steam bath will make even the laziest person take a bath. A steam shower will give you a wonderful feeling and a sense of relaxation. On most of your bad days, it will ease your nerves and calm your sour muscles. They are easy to operate and convenient to use. You can change the temperature and steam intensity very easily and it can be paired with your mobile devices through Bluetooth. If you are in the search of upgrading your showering experience and don’t want to spend a fortune, here is what you are looking for “a rain shower head”. It is perfectly designed to mimic the beauty and sensation of rainfall. A perfect stream of sprinkling water just like the raindrops falling from the sky onto your skin, giving you a feel of freshness. Unlike boring shower heads, rain shower heads are broader and have more holes from which the water flows out. Actually, rain shower heads have all luxury elements in them. They are sleek and modern. It is just like traditional shower heads but a hundred times better. Water flows very smoothly from holes of the shower head and falls straight on your body with great harmony just like rain. If one says that there is a technology that doesn’t require the hand to be used in the cleaning process in the toilet, it might look unrealistic. However, there is the innovation in the toilets that makes your dirty cleaning job hassle-free. These heated toilet seats are specially designed and manufactured to ease your toilet experience. It has hot water sprinklers that shower warm water and do the cleaning job for you. It does the job efficiently and perfectly without making you cringe. This product is used widely but it is now gaining more popularity in the world market. To sum up, these innovative technologies will bring your toilet and bathroom to a whole new level of modern technologies and ease.